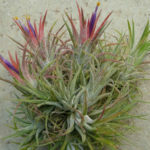 Tillandsia ionantha is a small, evergreen epiphyte up to 5 inches (12.5 cm) tall, with compact rosettes of green and silver-hued leaves, turning to a deeper shade of green when mature. 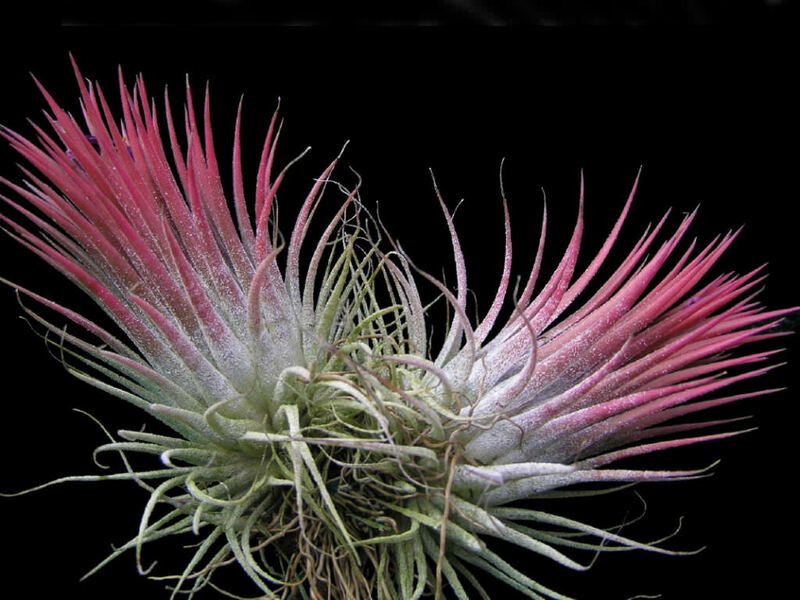 The inner leaves are deep red at the time of flowering. The inflorescence is a reduced panicle, with a spike-like appearance. 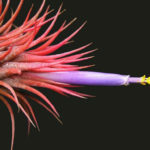 The violet petals are over 1.6 inches (4 cm) long and the yellow stamens and pistil protrude from the end. 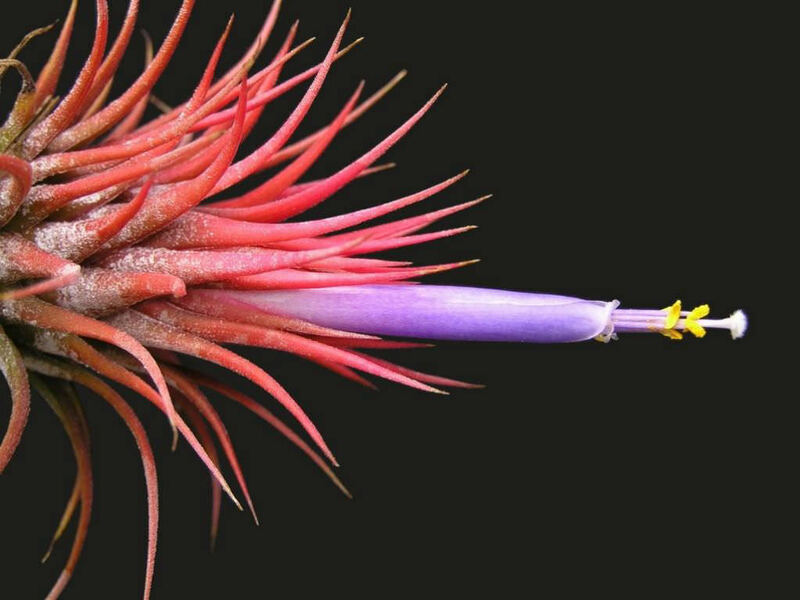 The fruit is a subcylindric capsule, up to 1.2 inches (3 cm) long. 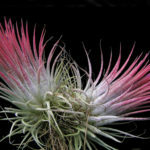 From late summer to mid spring, water your Air Plants by misting them daily. 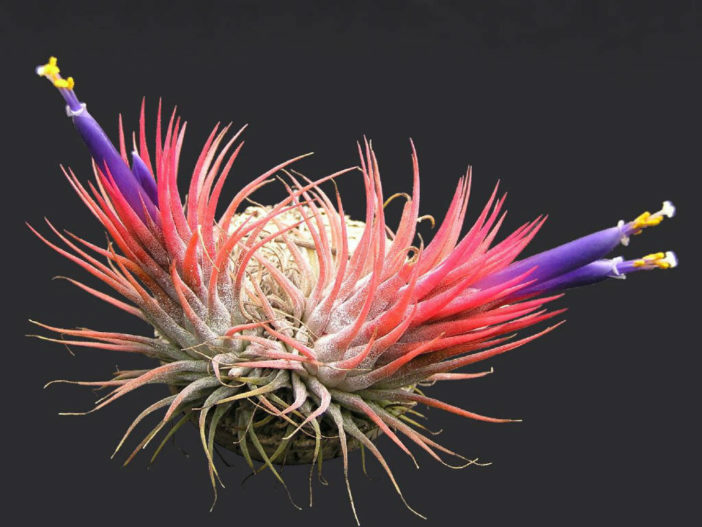 Unlike potted houseplants, you can’t really overwater an Air Plant. 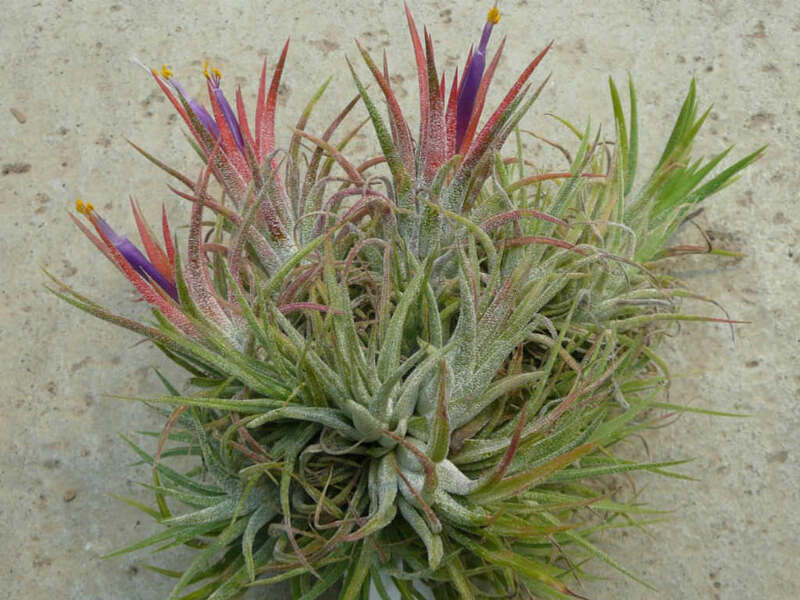 Tillandsia ionantha is native to Central America and Mexico.